My own life and my yoga have always been, since my coming to India, both this-worldly and other-worldly without any exclusiveness on either side. All human interests are, I suppose, this-worldly and most of them have entered into my mental field and some, like politics, into my life, but at the same time, since I set foot on the Indian soil on the Apollo Bunder in Bombay, I began to have spiritual experiences, but these were not divorced from this world but had an inner and infinite bearing on it, such as a feeling of the Infinite pervading material space and the Immanent inhabiting material objects and bodies. At the same time I found myself entering supraphysical worlds and planes with influences and an effect from them upon the material plane, so I could make no sharp divorce or irreconcilable opposition between what I have called the two ends of existence and all that lies between them. For me all is Brahman and I find the Divine everywhere. Everyone has the right to throw away this-worldliness and choose other-worldliness only, and if he finds peace by that choice he is greatly blessed. I, personally, have not found it necessary to do this in order to have peace. In my yoga also I found myself moved to include both worlds in my purview - the spiritual and the material - and to try to establish the Divine Consciousness and the Divine Power in men’s hearts and earthly life, not for a personal salvation only but for a life divine here. This seems to me as spiritual an aim as any and the fact of this life taking up earthly pursuits and earthly things into its scope cannot, I believe, tarnish its spirituality or alter its Indian character. This at least has always been my view and experience of the reality and nature of the world and things and the Divine: it seemed to me as nearly as possible the integral truth about them and I have therefore spoken of the pursuit of it as the integral yoga. Everyone is, of course, free to reject and disbelieve in this kind of integrality or to believe in the spiritual necessity of an entire other-worldliness altogether, but that would make the exercise of my yoga impossible. My yoga can include indeed a full experience of the other worlds, the plane of the Supreme Spirit and the other planes in between and their possible effects upon our life and the material world; but it will be quite possible to insist only on the realisation of the Supreme Being or Ishwara even in one aspect, Shiva, Krishna as Lord of the world and Master of ourselves and our works or else the Universal Sachchidananda, and attain to the essential results of this yoga and afterwards to proceed from them to the integral results if one accepted the ideal of the divine life and this material world conquered by the Spirit. It is this view and experience of things and of the truth of existence that enabled me to write 'The Life Divine' and 'Savitri'. 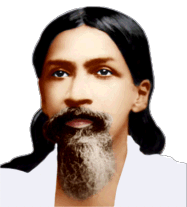 The realisation of the Supreme, the Ishwara, is certainly the essential thing; but to approach Him with love and devotion and bhakti, to serve Him with one’s works and to know Him, not necessarily by the intellectual cognition, but in a spiritual experience, is also essential in the path of the integral yoga. I know that he can bring the Immortal down. Our will labours permitted by thy will.